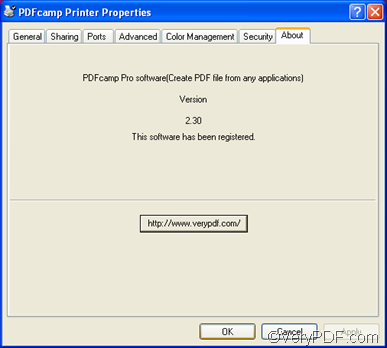 To register PDFcamp Printer, five steps are required. 1. Click “Start’ in the left down corner of the computer screen. 2. 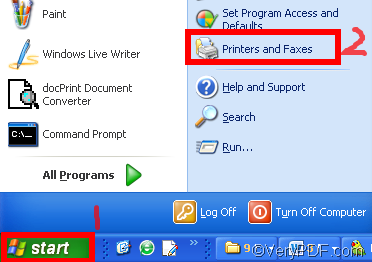 Click “Printers and Faxes” on the menu to open the “Printers and Faxes” window as illustrated below. 3. 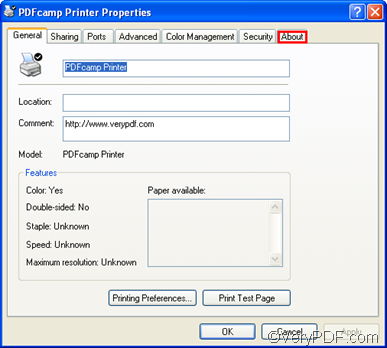 Right click on the icon of “PDFcamp Printer”, and select “Properties” on the drop-down menu to open the “PDFcamp Printer Properties” dialog box. 4. 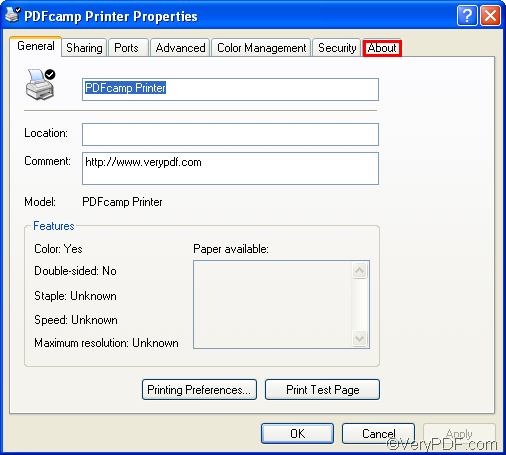 In the “PDFcamp Printer Properties” dialog box, click the button “About” . The interface will change to be Figure 5. 5. 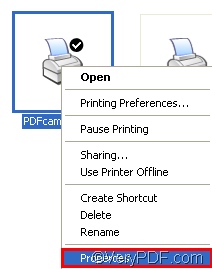 Enter the key in the edit box, and press “Register” and “OK” to register PDFcamp Printer. 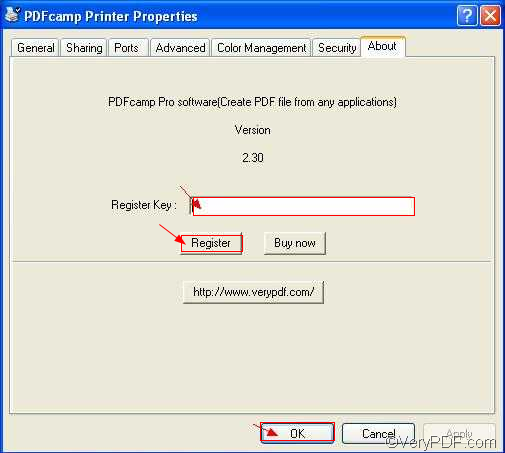 In addition, if you do not have the register key, you can click “Buy now” to buy it and get the key to register PDFcamp Printer. When you see the following interface, it means that you have successfully registered the software application. How to convert pcl to jpeg via command line? 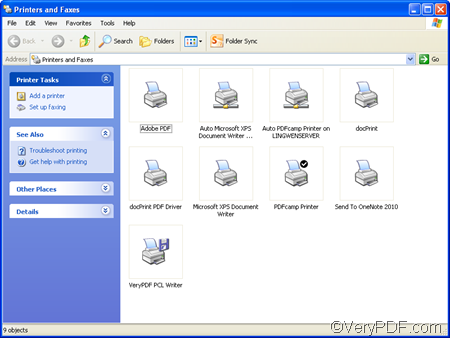 How to insert a image file to an existed PDF file by command line? 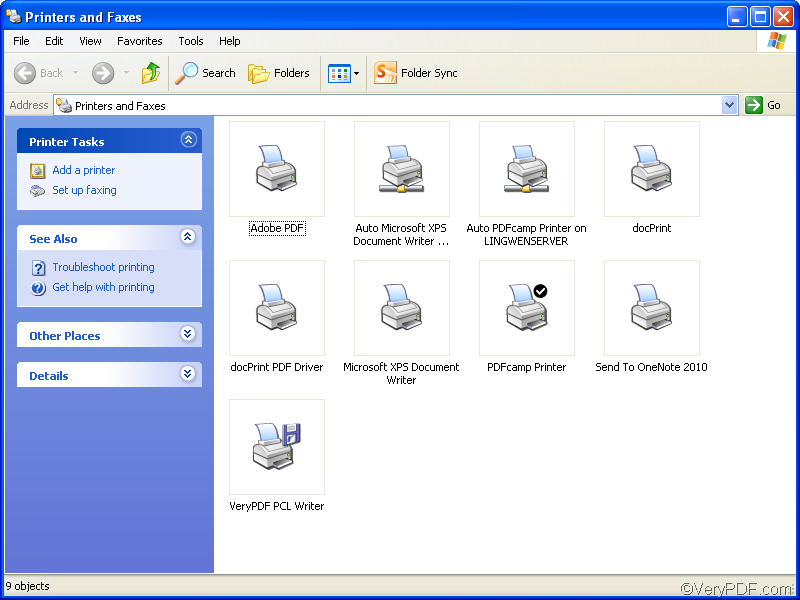 How to do batch conversion of multiple txt files to pdf format? How to call User Defined EXE application from 64bit version of docPrint PDF Driver? This entry was posted in PDFcamp Printer. Bookmark the permalink.